Take Me To the Kingdom! “Ramsay, are you ready to go overseas?” my husband asks our 14 month old over speakerphone. “We got an assignment?” (I practically scream this question with excitement into the phone). 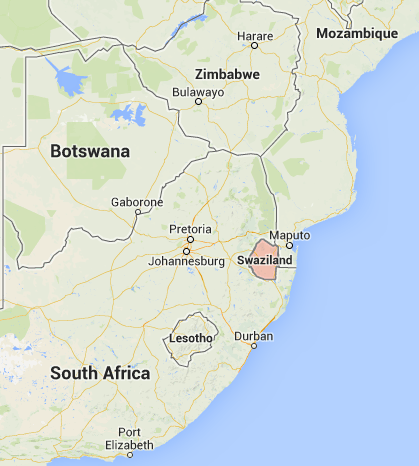 We move this October, to the Kingdom of Swaziland; a monarchy in a country the size of New Jersey. I’ve lived in the United Kingdom, but I have so much to learn about this African Kingdom. Right now, this place sounds to me like something out of the Chronicles of Narnia, an exciting adventure! I love the idea that Ramsay will know safari animals in their natural habitat. And to think he will be close to four years old when we leave Africa. And some of his first words will be in the language of Swati! I can’t wait to blog from our new home, to capture impressions and share photos and see how our new country shapes us. Parts of it will be hard on the heart, too: Swaziland has one of the highest rates of HIV, which has left too many children orphaned, and there is much suffering from disease, hunger, and poverty. Peace Corps, USAID, Heart for Africa, and many charitable groups are active. We will learn how to get involved, too, in our new community. I’ve heard the skies in Africa are amazing, and the stars shine as brightly as you’ve ever seen them. I bought a Lonely Planet guide on South Africa yesterday. It seems like a tiny start, but one must start somewhere. There is much research, daydreaming, and planning to be done. And, oh, the emotions of leaving family and friends. It’s all exciting, overwhelming, and coming very, very quickly! Two more months! Has anyone out there reading this been to Swaziland? Please share! This entry was posted in Capturing Thoughts and tagged Africa, being far from friends, charities, community, emotions of moving, Heart for Africa, HIV, Kingdom, leaving family, Lonely Planet, moving overseas, orphans, Peace Corps, South Africa, Swaziland, USAID by Tracy MacDonald. Bookmark the permalink. What an adventure, for sure! I called you, I think last week. Hope it’s still the same number. Talk soon! I am a friend of Edwin and Carol’s and just heard about your new adventure. I have spent I’ve 4 months in Swazi over the past couple years. It has such a special place in my heart. I would love to talk to you and attemp to answer any questions you have. I still have lots of friends American and Swazi in the country and could put you in contact with them if you like. The Swazi people are VERY warm, giving and love to joke around. They are a greatful people who value relationships. I know you and your family will fall in love. Feel free to contact me at mgrumford@gmail.com. Hey Starry! I am a friend of Edwin and Carol’s. They just let me know about your up coming move. I have spent over 4 months in Swazi over the past few years and am more than happy to talk to you and answer any questions I can. I have absolutely loved my time in Swazi. The people are so kind, loving and generous. They love to laugh…expect to get your leg pulled! I still have lots of friends their american, south african and swazi. I am happy to get you in contact with any of them. I know you will fall in love with this beautiful people. My email is mgrumford@gmail.com.